Starwood Preferred Guest at a 3:1 ratio. 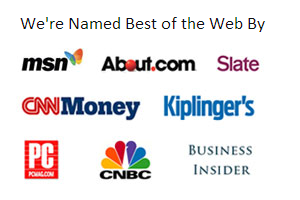 These are great options, especially when you consider that all three major airline alliances are represented. For instance, Delta awards can be booked using Korean Air miles, while American Airlines awards are offered by the British Airways program. In addition, several of the major hotel programs are featured, and transfers from this program are virtually instantaneous, allowing you to book airline tickets or award nights at hotels that you found before the availability disappears. Other features include the ability to book travel, including hotels, airfare, car rentals, cruises, and activities directly through Chase at a rate of 1.25 cents per point. Finally, Chase allows spouses and domestic partners to share points at no charge. 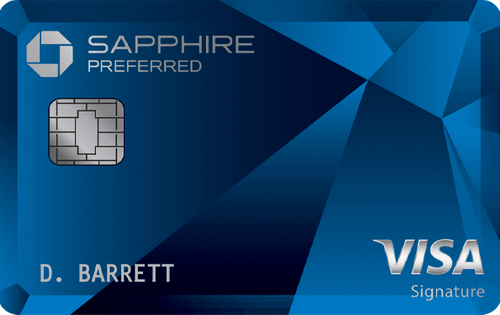 The Chase Sapphire Preferred® Card is an attractive option for frequent travelers. Earn 2x points on travel and dining at restaurants and 1 point per dollar spent on all other purchases worldwide. Earn 60,000 bonus points after you spend $4,000 on purchases in the first three months from account opening. That's $750 in travel when you redeem through Chase Ultimate Rewards®. There are no foreign transaction fees. The annual fee is $95. These options represent a wide range of foreign and domestic carriers, including those that are part of major airline alliances as well as several independent carriers. Furthermore, American Express sometimes offers transfer bonuses for specific airlines that allow you to receive greater than a 1:1 exchange rate. Transfers to airlines generally occur in just a few seconds, however there is no way to share points between other cardholders, including spouses and domestic partners. In addition it offers transfers to Hilton Honors at a 1:1.5 ratio. Although this program shows a lot of promise, it currently has no US based airlines in its program, and it features airlines like Malaysia and Garuda Indonesia that don't even offer service to the United States. While each of these programs is partnered with US based carriers, their awards charts do not offer very compelling value in most cases, with Singapore and Air France/KLM Flying Blue being the two best options. Furthermore, point transfers can take at least a day or two, and over a week in some cases. One strength is that members are allowed to transfer their points to any other member at no charge. In addition, Prestige cardholders receive an exceptional 1.33 cents per point for airfare reservations and 1.6 cents per point if the airline is American or US Airways. Choosing the program that works best for you will always depend on your individual travel needs. For example, the American Express program can offer great rewards from airlines like Virgin America, Hawaiian, and Air Canada. Someone who flies a lot on Southwest will get tremendous value from Chase's Ultimate Rewards program. And even though Citi's ThankYou program still has a way to go before it can compete with its rivals on transfer partners, receiving 1.6 cents in value per point towards flights from American and US Airways can be a great deal, especially when you consider that you will earn miles and be eligible for upgrades on these flights. By taking a close look at the advantages and drawbacks of these flexible reward programs, you can choose the right one for your needs, or even decide to earn points in more than one.